iOS has been a great platform for mobile gaming and a lot of developers and video game companies have been developing great games for it. You can easily find a game you like on the App Store. Most people are fine with the on screen operation but some would like to use a game controller in order to have a better handle of the game. Most of them are big gamers but it does help to improve the experience. 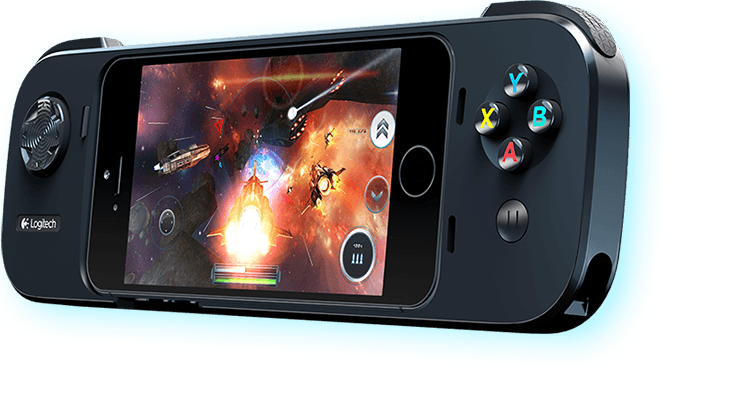 So if you are currently looking for a suitable iPhone game controller to play games on iPhone, here are our recommendations of several top-notch iPhone game controllers. It’s no surprise that we can find one of the best iPhone game controllers in Logitech, one of the most famous PC and mobile accessories maker in the world. Coming from Logitech, the quality of Logitech Powershell Controller with Battery is ensured. It’s a game controller for iPhone 5 and 5S. After putting it on your iPhone, you would feel like you are holding a PS Vista in your hand. And the button layout is similar to an Xbox controller. The soft rubber texture grips make it comfortable to hold in the hand even for a long time and ensure that it won’t prone to drop. After putting it on, it won’t add too much weight on your iPhone, but it would make your iPhone significantly longer. But if you have a big pocket on your pants or coat, it shouldn’t be a problem to carry it around. The built-in 1500mAh battery will charge your iPhone while gaming and you can charge your iPhone as well as the controller with a Micro-USB cable. 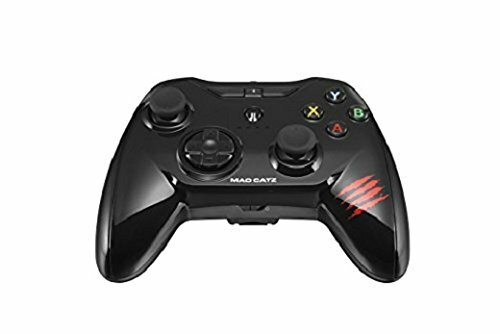 Game lovers should be no stranger to Mad Catz, It’s a world-renowned gaming product manufacturer. The Mad Catz C.T.R.L.i is the company’s game controller for iPhone that shares a similar design language with the Xbox controllers. The overall workmanship is great. Most of the buttons and analogue sticks feel solid. And it comes with a compartment in the back that allows you to stuff two AAA batteries in it and gives you 40 hours of game time. Overall, if you’d like your iPhone game controller to look like one for game consoles, the Mad Catz C.T.R.L.i would be the perfect choice. As one of the top gaming peripheral manufacturer, SteelSeries never disappoints you when it comes to gaming accessories, no matter if they’re for mobile phones or PCs. The SteelSeries Nimbus has been receiving positive review from a lot of gamers. The overall design of this game controller for iPhone would look familiar to people who owns a PlayStation or Xbox as it kind of combines the design language of the controllers of both consoles. And you will find all the elements you can find in a regular controller for game consoles: two joysticks, pressure-sensitive buttons, triggers, LEDs and center buttons. 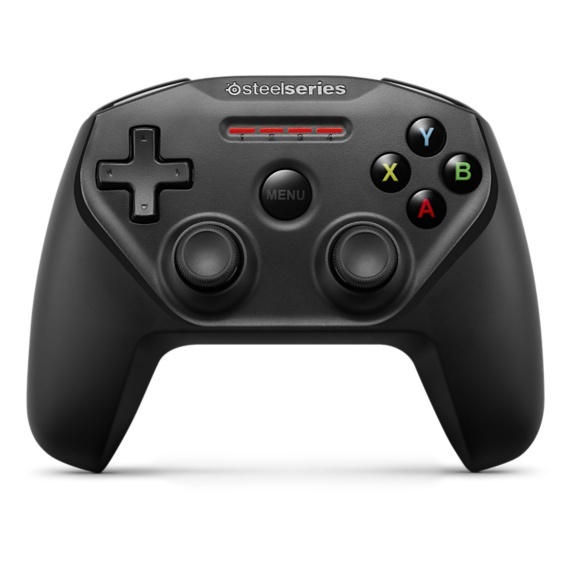 From a big and famous company like SteelSeries, you can expect the Nimbus to be a MFI-base controller. The Nimbus can work with all the controller-supported games you can find on the App Store. It’s also got a big battery in it that could give you more than 40 hours of game time and it’s chargeable with a Lightning port. Other than the support for iOS devices, it also works with Apple TV, which is kind of a bonus you get from the Nimbus. If you want an iPhone game controller with a different look than the controllers of your game consoles, check out the SteelSeries Stratus. 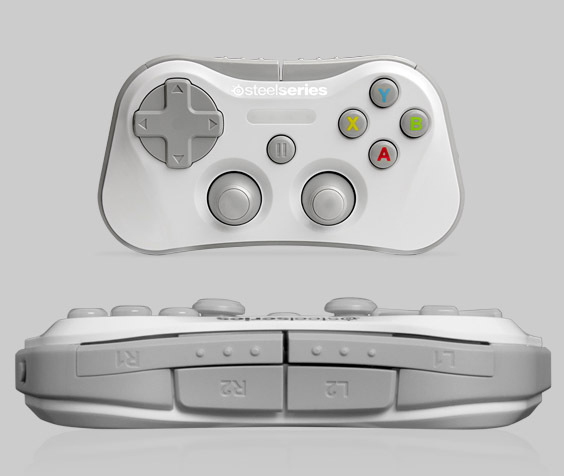 Unlike the SteelSeries Nimbus, you won’t find any similarities between the SteelSeries Stratus and an Xbox controller. But that doesn’t mean it’s inferior to the Nimbus. It’s got two analogue sticks, a big D-pad on it. The small size makes it easy for you to carry it around and comfortable to hold in the hand for long-time gameplay. A lot of gamers like to record their gameplay and share them on platforms like YouTube. This is fun especially when you’ve master a game. And on iOS 11, you can record your gameplay without having to install a screen recording app after jailbreak. There’s a built-in screen recorder that you can use to record the screen. It’s a completely new feature for iOS and it’s normal that you don’t know about it. Here’s how to use it to record your screen. 1. 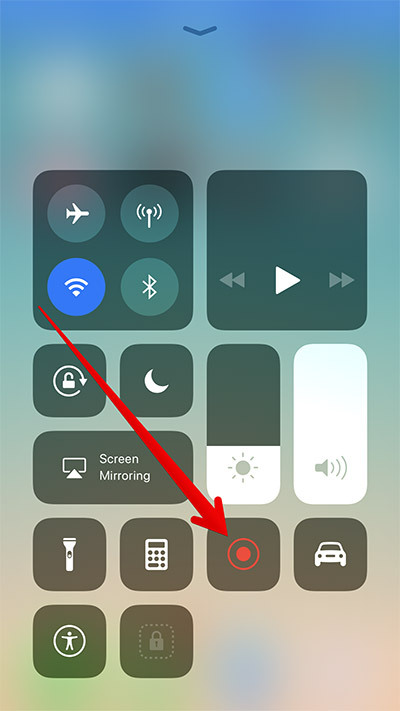 The shortcut key of the screen recorder on iOS 11 is on the Control Center. So bring up the control center and find the screen recorder icon and then tap on it. You can find out what the icon looks like in the picture below. Tap on the status bar and manually stop it. 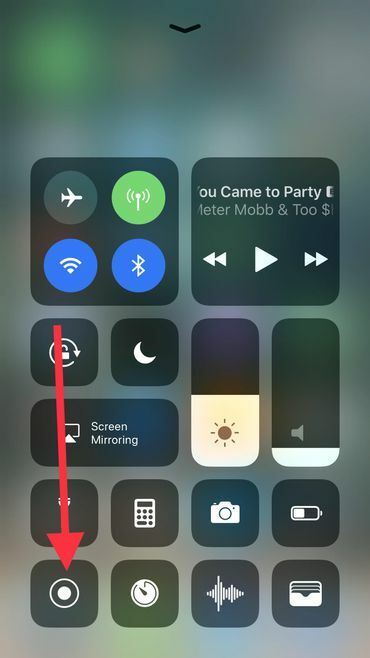 Bring up the Control Center and then tap on the screen recorder icon again. That’s how you can record your gameplay, you can find the video in the Photos app. If you want, you can transfer it to your computer and upload it to YouTube to share it with other people. If you need, here’s a great data transfer program for you to transfer data between iPhone and PC: Leawo iTransfer, it’s a practical data transfer program that can transfer 12 different types of data between iOS device, iTunes library and PC. And it’s very easy to use. If you are looking for games to play on the iPhone, we’ve rounded up a lot of top games of different categories, like the top 5 action games, top 5 racing games, top 5 shooter games. I’m sure you should be able to find a game you like among them. After finding the game you like, you can start playing them with your gaming controller for iPhone.